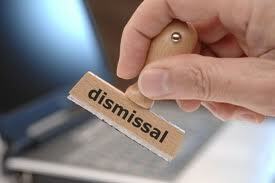 One of the most common sources of dispute between employer and employee is when termination of employment occurs. A repudiation of the employment contract occurs in circumstances whereby either party unilaterally fails to abide by the terms agreed, eg forced resignations, failure to pay remuneration, unilaterally changing the nature of the work..
A dismissal is legally defined as the unilateral termination of the contract of employment by the employer. However where an employee is being dismissed for a very serious breach of contract, there is no entitlement to any notice. Invariably the employee will argue that the reason for his dismissal, if there was a breach of contract, is disproportionate and excessive punishment. The exact factors which constitute a serious misconduct may be cited in the contract or alternatively where this is not the case, the individual circumstances of the employment may be considered. However, some actions are so nefarious as to be instantly regarded as such including: deliberately destroying the employer’s valuable property, stealing from the employer, and gross insubordination. In addition to the grounds previously specified an employee’s action representing to the employer that he possessed a certain skill or qualification, which was not in fact the case, would have seriously misrepresented the situation and this action would warrant summary dismissal. However, inability to do a job may be regarded due to the employer’s inadequate training methods or to inefficient techniques for selecting employees.